Ultraviolet explores the issues of perception and phenomenology at the intersection of nature and technology. The film is divided into three parts that correspond to the musical structure and composition. The film was conceived as an ongoing dialogue with its soundtrack composed by Michael Pisaro. The relationship between the cinematic image and the live sound is an experiment in a tradition of expanded cinema. It starts with very high frequencies for the first part and then work its way down into the guitar range. 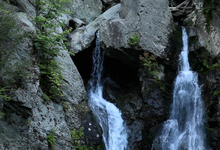 The film addresses the aura of representation through the video footage of various landscapes. Waterfalls, treescapes and mountains have been recorded by various devices - from airborne camera at night to cinematic HD footage and low resolution i-phone video clips. 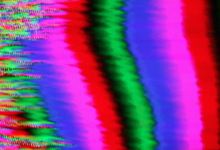 It is intercut by analog video signal recordings, reminiscent of the abstract color-field paintings.